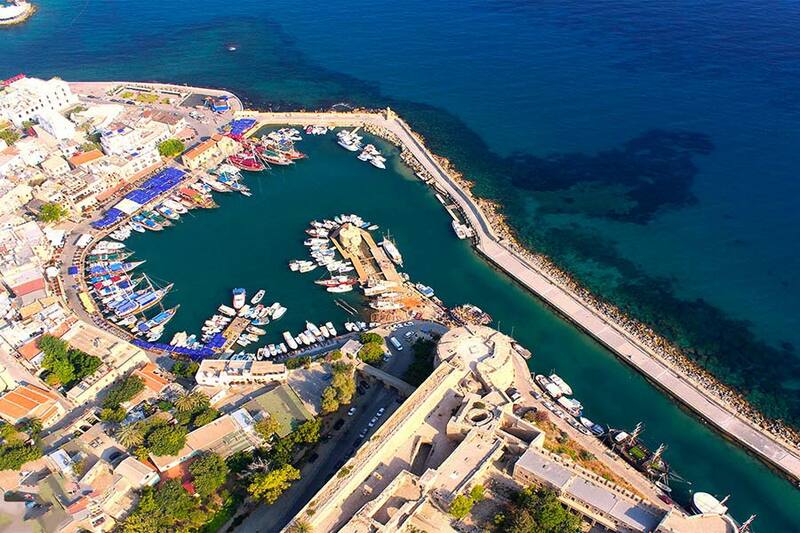 Guarded by a powerful castle and overlooked by the Kyrenia mountains, this horse-shoe shaped Kyrenia harbour is one of the prettiest to be seen in North Cyprus and the whole of the Mediterranean. 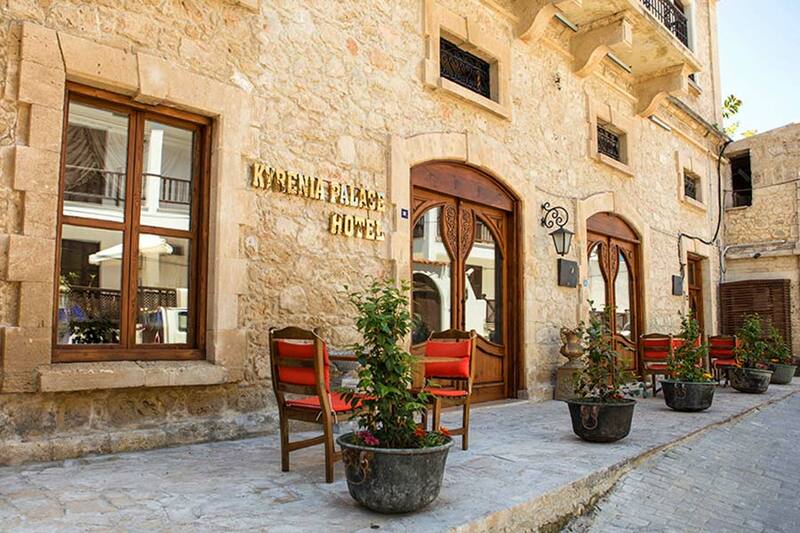 The pages of history might tell a different story but Kyrenia now has willingly surrendered itself to tourism. 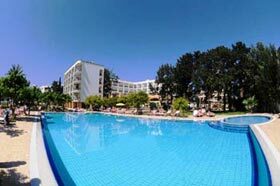 The harbour now has a relaxed, inviting and calming ambience. 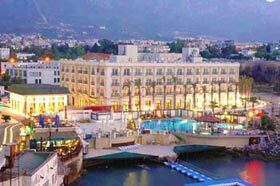 Pleasure boats and luxury yatchs crowd around the quay side and diners fill the waterfront tables,. Glancing around from one of those dining tables, it takes only a moment to recognise that many of the older buildings surrounding the harbour were once warehouses. 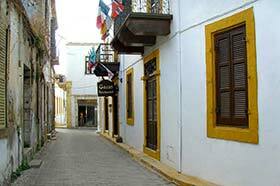 These tall buildings now bustle with new life as shops, bars or restaurants but they once stored carob beans and powder for export, a trade for which the island was famous until recent times. 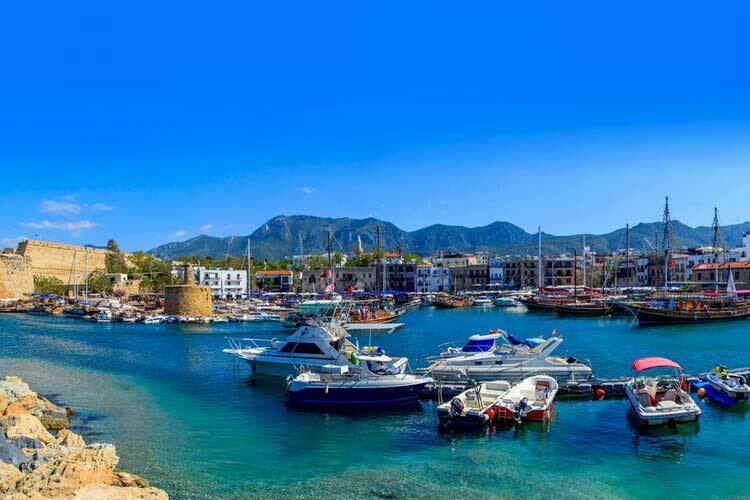 From its earliest days, Kyrenia has been in the thick of the commerce and maritime trade with its excellent strategic location although it never reached the status of a major port. 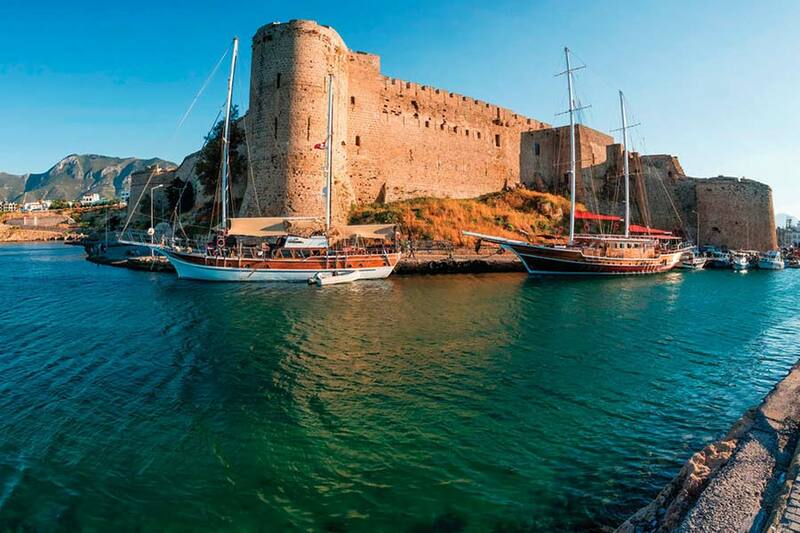 Ships would ply their trade down the Aegean coast of Turkey taking in some of the Greek islands like Samos and Rhodes before calling in to Kyrenia on the way to Egypt. Still it was important enough in the early days to need fortification against Arab raids from the 7th century onwards. 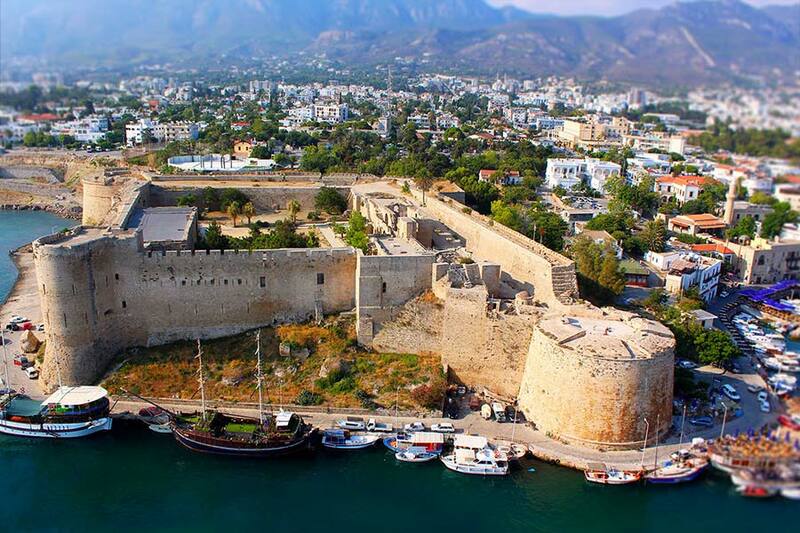 The castle built by the Byzantines on the eastern side of the port provided refuge for the Isaac Comnenos family, then despotic ruler of Cyprus, against Richard the Lionheart. With the arrival of the Lusignans, the castle was much enlarged and further fortified to use as a residence. The Venetians too carried out further reconstruction and fortification in 1554. 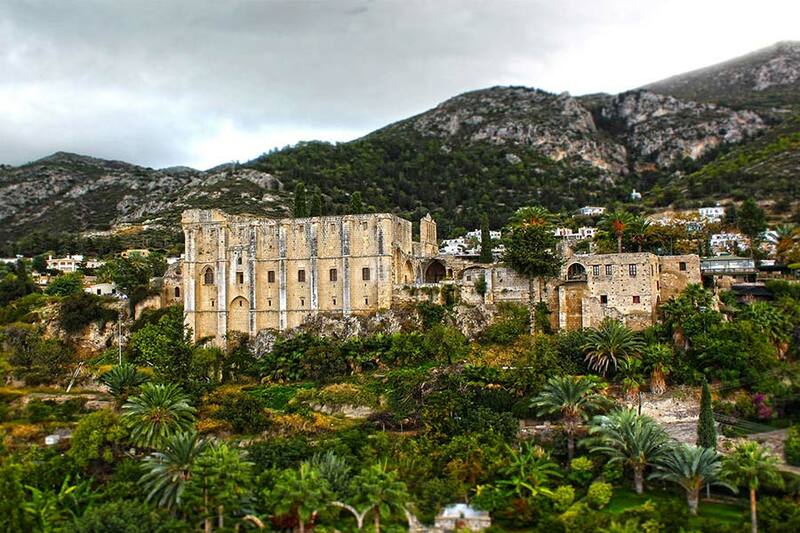 A mere 20 years later, despite all the improved fortifications, it yielded to the Turks without putting up resistance. The castle welcomes invaders these days in the form of visitors. 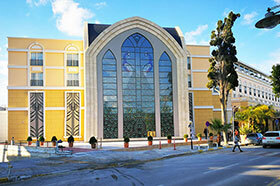 Artillery ramps, Byzantine walls, Lusignan towers surround a spacious courtyard inside. 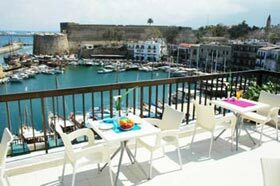 The walls offer stunning views over the harbour. Also housed here is the Shipwreck Museum which preserves one of the oldest wrecks ever recovered from the sea, some 2,300 years old. 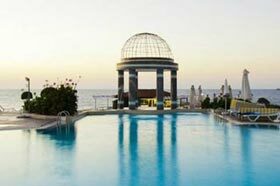 It carried amphorae from Rhodes and products from Samos and Kos. 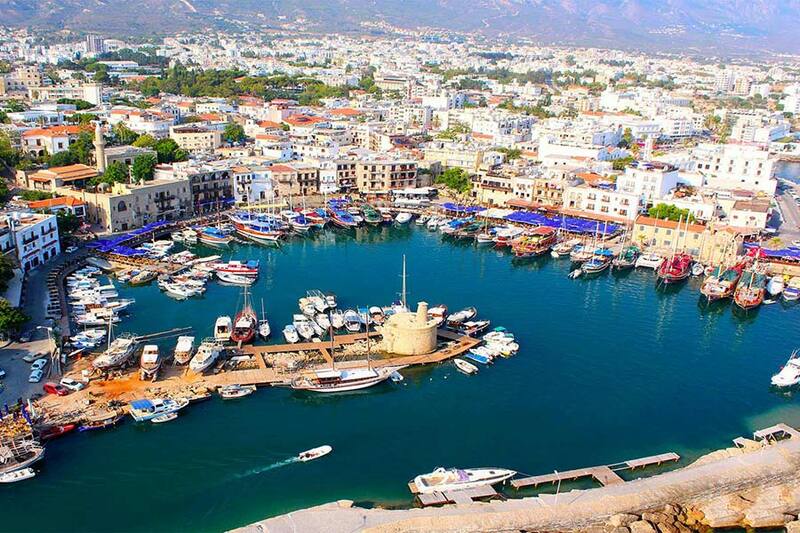 With commercial shipping confined to the new harbour further east, Kyrenia harbour is now left for pleasure and for the romantics.